The Second Line is Scottish designer Geoffrey Mann's first ethnographical and biographical body of work that uses object materiality to capture the social history of New Orleans. The animation uses an unscripted, unedited conversation between Mann and Grand Marshall Aaron Blanks that took place on a New Orleans street corner as Blanks conducted the young "All Star Brass Musicians" from the city's Treme neighborhood. Their conversation addressed not only the jazz, but how the teenagers' brass instruments transcend music to become a cultural, economic and social symbols of history, diversity, equality and hope. 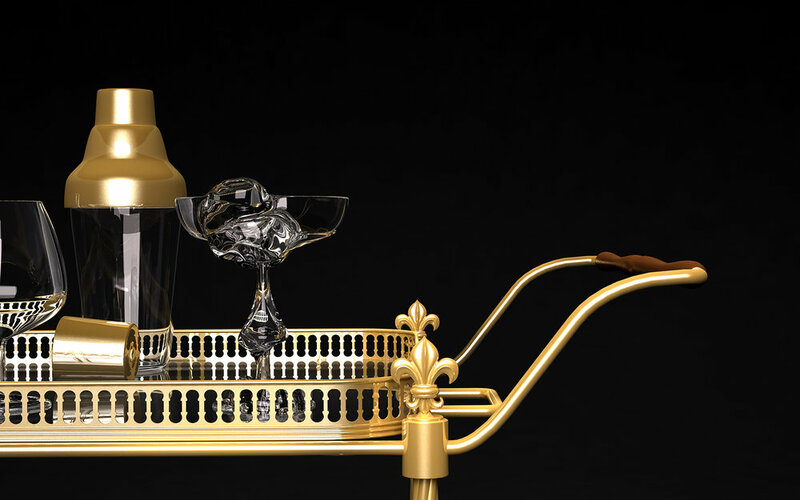 The Second Line animation shows their conversation as sound waves passing through a group of cocktail glasses sitting on a French colonial serving trolley. Aaron Blanks' raw unbridled passion for giving hope to New Orleans youth is encapsulated forever as it reverberates through the forms of the cocktail set. Each undulation and deformation is a physical echo of the Frenchman Street conversation.